More and more people are turning to meditation to improve their lives. And with good reason. An ever-increasing body of research is providing fuel to the inner fire as it shows that meditation really is good for you; it physically changes your brain and body. These changes are both immediate and long-term. In any moment, a meditation practice can bring you into the present, soothe your nervous system, and relieve the damaging effects of stress and anxiety. And in moments to come, a regular meditation practice can enable you to deal with any challenge that comes your way from a place of steadiness and peace. Over time, meditation helps to prevent the health issues associated with prolonged periods of stress, and allows you to manage your emotions; improve your memory and concentration; and enjoy healthier relationships. As meditation becomes valued more highly in mainstream society, so we also recognize that in spite of its roots in the spiritual traditions of the East, meditation and its benefits don’t have to be associated with a religious practice. And it certainly isn’t a new age fad. This list of some of the best books on meditation is your gateway to understanding, developing and embracing a meditation practice in your own life. These recommended meditation books are listed in no particular order and all of them are accessible for beginners - thanks to them they will learn a lot about meditation. Some provide step-by-step practical advice on how to start meditating. Some offer a grounding in the science behind meditation — enough to convince even the most skeptical of potential meditators. And others are packed with inspiration that’ll keep you motivated, even on the days when meditating feels hard. ​Sluyter is the creator of the Natural Meditation technique, the author of several bestselling meditation books, and a respected teacher in the U.S. and worldwide. This book breaks down complex ideas about ‘non-duality’ rooted in the tradition of Advaita in simple language so that this ancient wisdom can be understood — and implemented — by anyone. Far from overwhelming readers with strict rules and formal techniques, Sluyter’s writing will guide you to connecting with an easy, natural form of meditation. This book will help you understand the deeper layers of yourself, and you’ll feel a renewed sense of love for yourself as you move through the pages. ​Borucki’s book is a powerful tool for those who want to meditate but feel like they just don’t have the time. She takes the key goals of many people when they start a personal meditation practice — like connecting with themselves, finding more meaning in life, reducing stress and anxiety, and experiencing bliss — and creates short practices which can be done anywhere, at any time. If you’ve been considering trying to start meditating for a while but have been put off by the thought that it’ll take hours, weeks and months of dedicated work, this book is for you. It’ll allow you to fit your practice into your daily life; and it’s not daunting at all. ​Just Sit is a lighthearted and upbeat guide to meditation, with colorful illustrations and a no-guilt approach. It’s designed for busy people; people who probably really need to meditate but haven’t managed to find the time (or motivation). As well as facts about why meditation really is worth including in your life, this book holds within it a gem: an eight week plan for busy people to start meditating without adding extra stress. You can incorporate the meditations into your daily life without having to change your schedule. ​Thich Nhat Hanh is one of the most influential minds in meditation teaching and writing, and is himself a Zen master. This book is written with love and with a profound belief in the value of encouraging others to meditate — and you can feel it from the moment you read the very first pages. Zen anecdotes from the writer’s own life, as well as stories he’s been told by his teacher, are woven together with practical exercises for you to try throughout. This means that the book takes you on a seemingly meandering journey through your mind — blending inspiration and wisdom with experiential learning. And by the end, you’ll realize that the journey was, in fact, constructed very carefully and with great purpose. Crucially, as with all his work, Thich Nhat Hanh emphasizes here that your meditation practice need not be hard, and need not be separate from your normal life. He suggests that peeling an orange can be just as powerful an opportunity for mindfulness as sitting quietly on top of a mountain. ​Another book with foundations in Japanese philosophy, Zen and the Art of Happiness has become a staple on the bookshelves of many people looking to welcome new perspective into their lives, and has been published in more than twenty countries. It combines science with spiritual teachings to explain how the way you think can change your body at a cellular level. Gently, this book guides you to look at your life from a different angle. It offers wisdom on how to adapt to the unexpected without losing your grounding in your self; and it teaches you how to change your thought patterns in order to change the kind of experiences you welcome in. Written with a light touch of humor, you’ll be simultaneously entertained and (at least a little) enlightened. ​Here, Krech looks further into other elements of Japanese psychology to find practical methods for making the most of life. As well as Zen, he draws on Buddhism, Martial Arts, and the Samurai — as well as other facets of Eastern philosophy and psychology — to create his approach. It’s all about action. Rather than concentrating solely on practices of meditation and stillness, Krech pulls out the industrious and productive aspects of these philosophies to help you figure out what to do, and how to do it. To counter lethargy, he highlights how your action can change the world for the better — and how inaction may change the world for the worse. He addresses motivation, stress, and the pressure of expected outcomes. He looks at how you can tap into the rhythm of an activity to become as productive and creative as possible. And all of this is underpinned by traditional wisdom on topics including non-attachment and impermanence. A brilliant read if you’re looking for new ways to train your mind, overcome obstacles, and start doing things. ​Meditation really is for everyone. But with so many of the traditional teachings transmitted through texts written by men who, understandably, don’t give much attention to the particular experience of the female body in meditation, it’s worth including on this list a book which is known for encouraging women to embrace the cycles of their bodies in the practice. Hari Kaur Khalsa is an internationally renowned meditation teacher who has developed meditation techniques and mantra chanting practices to help women find peace and stillness amidst the whirlwind of life. She offers step-by-step instructions on how you — as someone who has never meditated before — can explore the potential of your practice and tap into your creativity and inner wisdom. ​This would not truly be a list of the best meditation books if it didn’t include a little bit of Alan Watts. Known for his interpretations of Eastern philosophy for a Western audience, Watts is unapologetically himself — and he has an amazing ability to cut through your perception and bias and make you look at things differently. Published in 2017, this book is a new one — calling on his years of experience and study and personal practice. He writes that in order to come to your senses, you sometimes need to go out of your mind. And he proceeds to invite you to do that: to step beyond the confines of your rational mind to experience everything beyond it. Watts’ writing is endlessly entertaining, humorous and captivating. He’ll make you want to start meditating and exploring your mind — because he shows you that the experiences available to you as a human being may be far more interesting than everyday society would lead you to believe. ​Jon Kabat-Zinn is known as the teacher who brought mindfulness meditation to the West. His powerful programs sparked ongoing research into how exactly meditation can make such a difference to a person’s life. He has authored a number of influential books on meditation, and this is among the most recent — a straightforward guide for beginners on how to actually start meditating. As with all his writing, it includes a wealth of inspiring wisdom based on his years of practice, research and teaching. But there’s no expectation of existing knowledge in this book: even if you’ve never read a word about mindfulness before now, you’ll be able to use this as your guide to creating an effective and sustainable practice. ​While we’re talking about Jon Kabat-Zinn, this book is the perfect accompaniment to the beginners’ guide above. If you’re just embarking on your meditation journey you’ll discover down-to-earth encouragement within these pages — and if you’re still a skeptic, or think meditation just isn’t for you, you’ll find the antidote here. Kabat-Zinn cuts through misunderstandings and misinterpretations of meditation to explain what it really is and why it’s so important. There are no rules, and your practice doesn’t have to look like your meditation teacher’s practice. It’s personal. It’s about improving your experience of life. And it’s not about emptying the mind of all thoughts. ​If you like a methodical approach which lays out clear expectations and outcomes, this book is a great introduction to meditation. With no-nonsense language and a well defined intentions, Benjamin Decker guides you through ten different meditation techniques in ten days. It’s a wonderful way to explore the possibilities within the wide array of schools of meditation and to find something that clicks with you. You’ll be introduced to methods including Zazen Breath Awareness; Open Awareness; Mindful Observation; Mindful Eating, Observing Your Emotions; Walking Meditation; Body Scan; Mantra; and Loving Kindness Meditation. Each technique is taught in an actionable way with clear guidance on how to actually use it in your practice, and useful details about how each method will benefit you in your day to day life. ​Are you a skeptic? Are you reading this list with curiosity but also thinking to yourself that there’s no way meditation can really make a difference to you life? 10% Happier may just be the book to change your mind. It’s a wonderful read for those who are unsure about what meditation could actually do for them; curiously interested in these mysterious practices they keep hearing people talk about; or totally and utterly disbelieving in the power of meditative work. The big ambitions of this book have been largely realized. It seamlessly ties together scientific evidence with the personal (and very funny) story of how Harris himself navigated the modern expectations of non-stop busyness and learnt how to sit still. From stressed out news correspondent to devoted meditation practitioner, Harris takes you with him on a series of discoveries — and he’ll probably make you want to start making discoveries in your own mind, too. ​As Greg Krech did in his book included earlier on this list, Chogyam Trungpa focuses on action in this classic text. He was a Tibetan Buddhist master, and here he takes a deeper look at why meditation is so valuable — and he explains that meditation isn’t always about sitting still. In spite of its age, Meditation in Action is written with beautiful simplicity and is a pleasure to read. This could be perfect for you if the idea of sitting in formal meditation makes you want to run away and never hear the word ‘mindfulness’ again. Because Trungpa explains that meditation exists in everything; and it is the root of awareness, creativity and compassion in everything we do. The text is concentrated on six qualities that come with meditation in action: generosity, discipline, patience, energy, clarity, and wisdom. And it explores how you can work on these qualities in everything you do, and every interaction you have. Rather than being a retreat from the world, meditation is a way to be present and aware in the world. 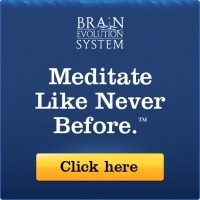 ​Do you want modern science to answer the question Why should I start a meditation practice? If so, this book by New York Times bestselling authors Goleman and Davidson is the one for you. It breaks down complex scientific research into easily understandable language — but don’t worry; it includes references to all of the original studies if you want to get deeper into the details. Instead of looking at the spiritual texts for confirmation of the benefits of meditation, Goleman and Davidson focus on the measurable results of studies conducted over the last 20 years. And the findings are overwhelmingly positive. You’ll discover how meditation improves lives — and why that’s so important for the future of humanity on this planet. ​You’ve probably heard of Osho. An Indian mystic leader of global renown, he shared his teachings around the world for decades until his death in 1990, and authored a vast library of resources for those seeking a deeper connection with their minds and the environment around them. The Book of Secrets is a beautifully structured and lovingly written guide to using meditation techniques to delve into the mysteries within your mind. Osho stresses that this is not religion; no temple is needed; and no belief in any higher being is required, and no previous experience of meditation is necessary. Approach these teachings with an open mind and a willingness to experiment with your understanding of yourself. This isn’t a book that needs to be read from start to finish; it’s a book to dip in and out of. When you find a technique that appeals to you, Osho advises you to practice it for three days — and then if you still like it after three days, work with it consistently for three months. ​Rooted in the traditions of Buddhism with the influence of Japanese culture and belief systems, the Zen philosophy is gaining in popularity around the world. It’s undogmatic approach to spirituality and the mind offer relief to those frustrated with the idea that meditation belongs to a particular set of beliefs. In fact, you can meditate because you are human — regardless of religion (or lack thereof). In this short and easy to digest book, Daniel D’appollonio gives a fresh and relatable perspective on the Zen notion that peace comes from within. He introduces the key concepts of Zen and demonstrates how they can be put into action in your life to bring more simplicity and clarity to your day-to-day — and, by extension, to your mind. A chapter on meditation offers techniques to draw your newfound Zen knowledge into focused practice. ​Pema Chödrön is an American Tibetan Buddhist who travels the world sharing her teachings to people from all walks of life. She’s known for bringing a great sense of peace into the lives of others, and she promotes compassion and wellbeing with profound enthusiasm. In this, her first book, she shares the essentials of a lifelong meditation practice. Written with the compassion that you’d expect from such a true teacher, she shares insight from her own years of practice and practical steps on how to start meditating. She doesn’t want you to do it because you feel like you should — she wants you to understand how to use meditation techniques to grow to love your mind as you’d love a close friend. ​This is one of the bestselling books on mindfulness meditation to date. It’s changed many lives — and it really is a wonderful resource for you if you’re setting off on meditative travels into your mind. Written by a renowned master of meditation, it is — as the name suggests — a simple step-by-step guide to help you understand the myths, the potential realities, and the benefits of mindfulness meditation. If you’re looking for a book which can give you a complete overview of mindfulness with absolute clarity, you’ll like this one. ​If you’re interested in books on Buddhist meditation with a twist of modern science, this one is for you. Among the authors is John Yates, a neuroscientist and internationally known meditation master; and these pages offer a unique perspective on meditative work with absolutely no ‘fluff’. It’s a step-by-step practical guide for starting, or developing, a daily meditation practice. You’ll be inspired by the wisdom of the ancient Buddhist teachings that inform this practice while you simultaneously learn about the benefits of meditation from the perspective of neuroscience. And the illustrations and easy-to-read charts included will support your deeper understanding of how your brain works. ​A list of the best meditation books wouldn’t be complete without at least one title by Sharon Salzberg — a teacher known around the world for her wonderfully authentic and actionable approach to sharing the power of meditation. She knows how to introduce beginners to meditation in a way that allows them to integrate their practice into their daily lives, and this book is a demonstration of her skill and passion for teaching. She shares a 28 day program to draw you into your practice and into yourself — with emphasis on using meditative work to help you with real issues you might be facing, such as muscle pain or insomnia. Crucially, she explains how — and why — meditation works, and encourages you to embrace greater peace, clarity, resilience and creativity. ​This is a book written with heartwarming compassion. From the first pages you feel Kabat-Zinn’s genuine desire to help you feel better during the tough times; and his efforts are effective. He talks about stress and how it affects us physically, emotionally, mentally and spiritually — and he offers mindfulness practices that you can use every single day to lower your stress levels. It’s particularly worth reading if you’re facing intense emotional pain, illness or an extended period of stress; but even if you’re in a relatively steady time of your life, you’ll find a sense of support here, and motivation to find ways to improve your wellbeing no matter what’s going on. ​An expansion of Davich’s bestselling 8 minute meditation practice, this books is a lifeline for the busy and the stressed. As the title suggests, it gives beginners the ability to meditate in just a few minutes a day — and in those few minutes you can shift your perspective and calm your nervous system. If you’ve wanted to start meditating but never quite found the time, or if you’ve started but then given up because of the extra pressure it added to your already hectic life, this book is your way in. Your practice doesn’t have to be another anxiety-inducing item on a long to-do list. It can be a short but nourishing moment to uplift you every day. ​In this warm and inspiring guide to mindfulness, Goldstein highlights the simplicity of the practice. That is: your mind already has mindfulness. You simply need to give that mindfulness the space, time and attention to flourish. With four decades of teaching and practicing meditation already behind him, Goldstein shares real-life experience and a remarkable knowledge of the traditions and philosophy which form the roots of mindfulness as we know it. He effortlessly weaves in teachings from the Satipatthana Sutta, the Buddha’s discourse on the foundations of the mind. And he shows you how to take this ancient wisdom and apply it to your life in a way that is still relevant, and still transformative. So, there it is. A reading list to help get you on your way to building your own meditation practice. 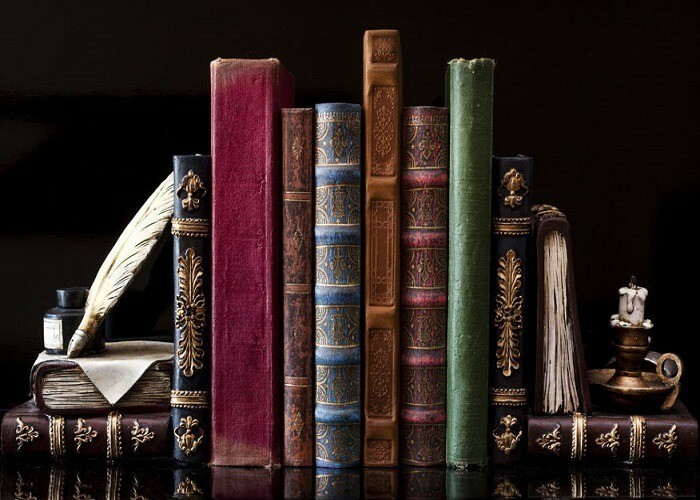 Make yourself a cup of tea and settle down to absorb the wisdom and inspiration held within these texts. Your practice will grow from tentative first steps into a deep and fulfilling experience of the workings of your mind. Remember that there’s no one technique that works for everyone. As a beginner, you are in a position rich with potential — you have the opportunity, now, to explore different schools of meditation and different methods for practicing mindfulness until you find one (or two, or more!) that resonates with you. When you come across a form of meditation that makes you want to keep going, give yourself permission to keep working with that technique. When you start practicing you’ll discover wisdom that comes only from within. Read. Practice. Explore. Breathe. Be. And when you hit one of those days when your head says No! I don’t want to meditate! come back to this list, choose a book, and read again. You’ll find the motivation you need. 3. How Does Meditation Affect the Brain?